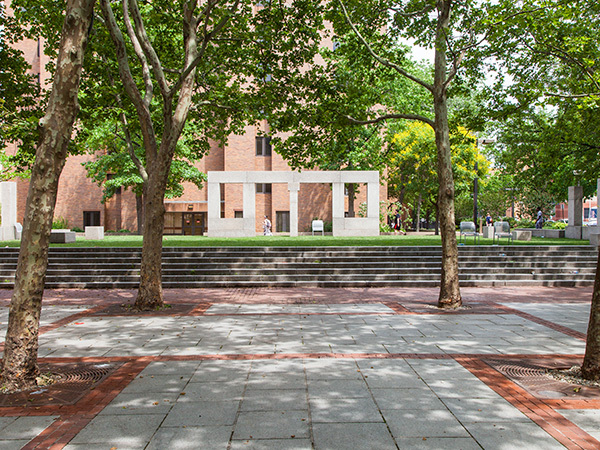 Located adjacent to the Cecil B. Moore subway station on the campus of Temple University in downtown Philadelphia, this Postmodernist plaza was completed in 1983. 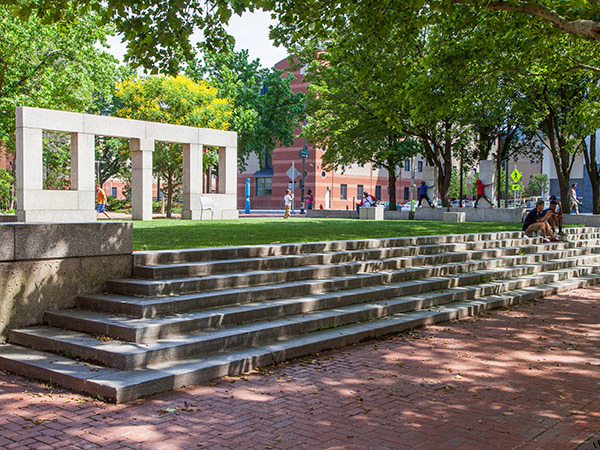 Realizing that the station served as a major point of arrival on the campus, the university constructed the plaza in collaboration with the City of Philadelphia, which completely overhauled the station as well. 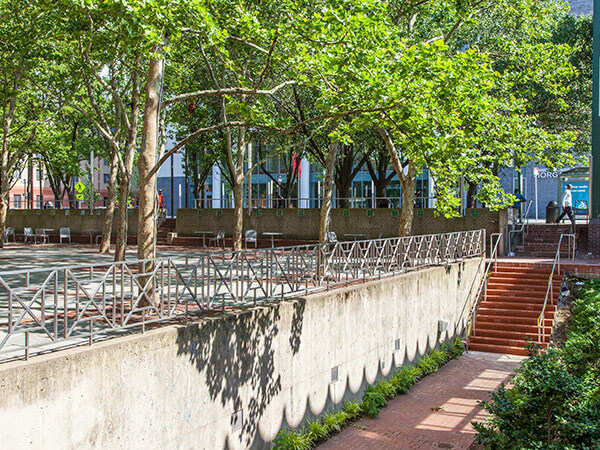 Landscape architects Harriet Pattison and Richard Glaser, along with artist Richard Fleischner, worked with the architectural firm Mitchell/Giurgola to complete the multi-level plaza. 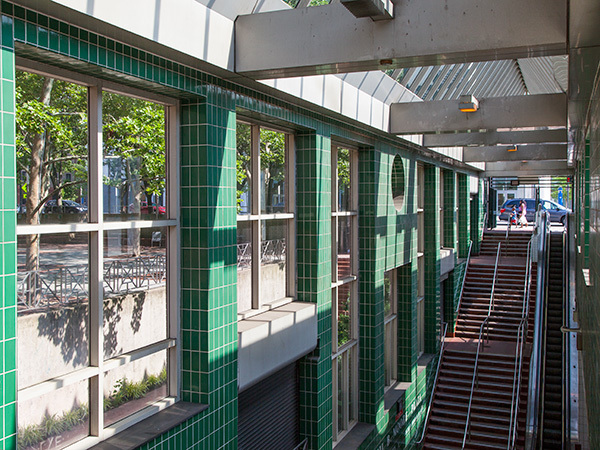 Framing the western perimeter of the rectangular space is the subway station’s brick headhouse, a Postmodernist interpretation of a Victorian train station whose steeply pitched glass roof and alternating square and circular windows allow light to penetrate deep underground. 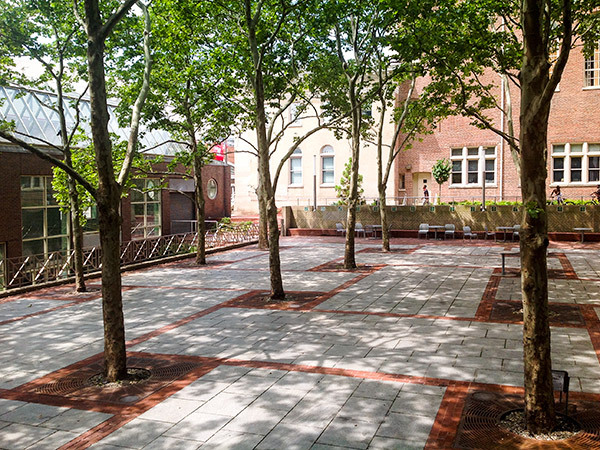 Between the headhouse and the plaza proper, a lower-level alley crosses the public space, paved in brick and reached by stairs at both ends. To its east is an open court, raised well above the alley but sunken below street level. The court is paved with granite squares set within a grid whose outlines are expressed in brickwork. 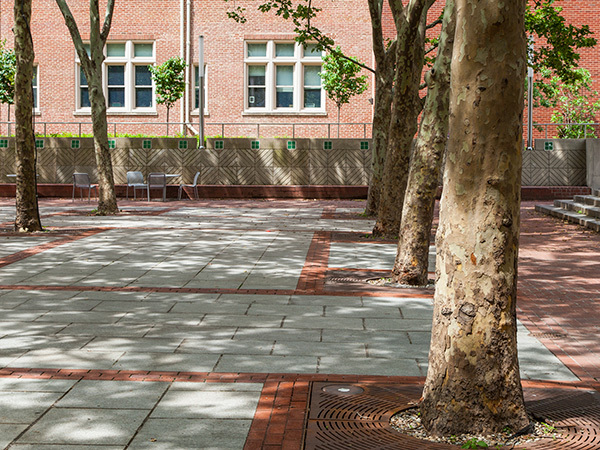 The court contains twenty London plane trees, also organized in a formal rectangular grid. 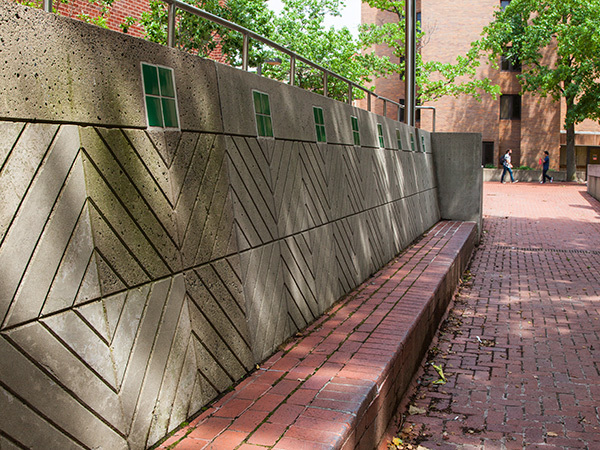 The northern and southern edges of the court are lined with concrete walls, whose immured cast-concrete seating is decorated sparingly with green mosaic tiles matching those used in the headhouse. Ramps ascend eastward along the court’s northern and southern perimeter, while a wide, central staircase leads up to a street-level parcel. 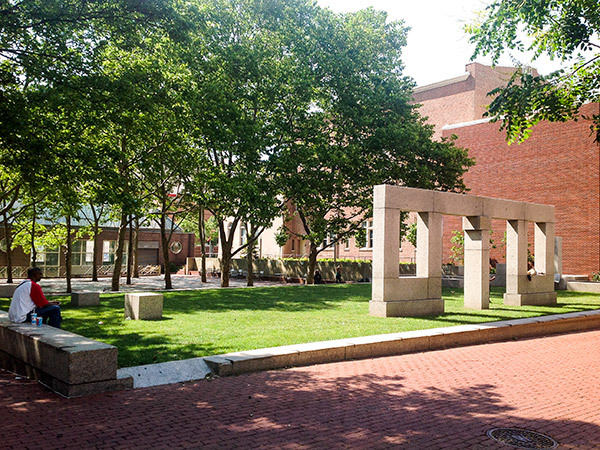 The parcel contains Fleischner’s sculpture: an unadorned arcade made of granite blocks, which acts as a campus gateway. 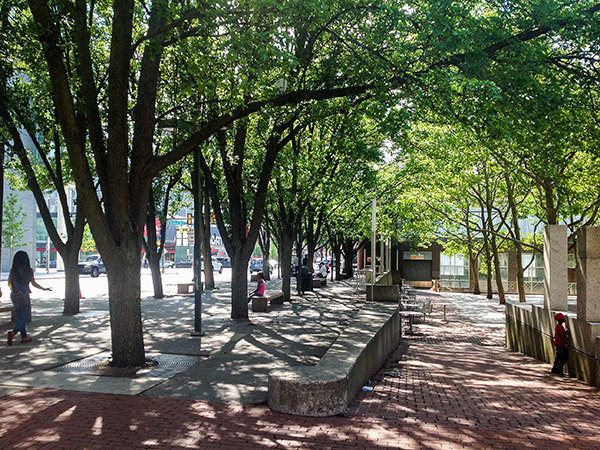 Sixteen Bradford pear trees are planted along the plaza’s southern border, buffering it from Cecil B. Moore Avenue while providing a shaded walkway with benches.